Awwww! So happy to hear that its baby approved. Thanks Daniela! 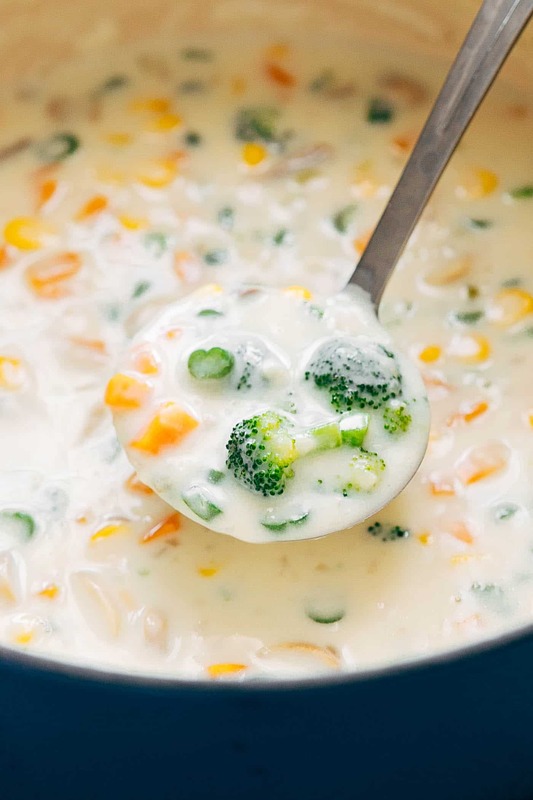 This soup is creamy and the vegetable combo is nice. However, it’s very bland. It just tastes like milk. I was a little suspicious when it didn’t call for any broth, but I tried it anyway. I may try making it again but substitute veggie broth for some of the milk and add some kind of cheese at the end. Hey Rachel, I’m sorry you didn’t like the soup. Its a mild tasting, lightly flavoured soup. The oregano and thyme adds a nice depth of flavour in my opinion. But you can definitely substitute some of the milk for broth. 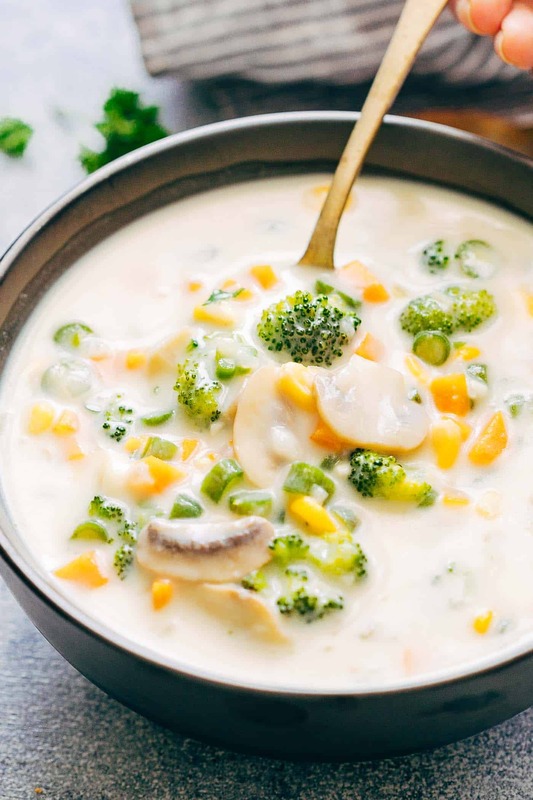 I’ve tried a lot of vegetables cream/soup recipes but none of them tasted as good as this one. I loved it, my family loved it. Dang! That was sassy. Soup looks yummy. 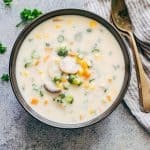 Is there a way of making this delicious soup with no milk? As i am lactose intolerant. I use to enjoy this soups so much but after my allergy i have not found any that i can have. Hey Maylen, I’ve never tried it but you could substitute milk with coconut milk or almond milk. This will significantly change the taste of the soup but I can’t think of any other way. This looks really good, but you know, it’s soup, can’t go wrong with that, hahah. Thanks for the recipe! 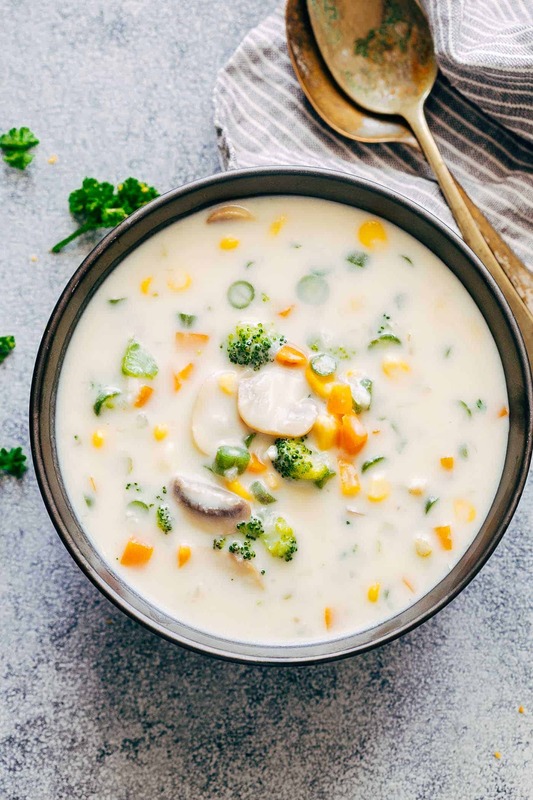 We are a soup loving family and this recipe looks utterly yummy. I like that you can switch the veggies around depending on what’s in season and what’s in the house! Delicious and pinned.